The month of June is the time when the season for summer holidays in India reaches its crescendo. With schools and colleges closing at this time of year, June and July also becomes best time for family holidays in India. Since it is also the peak of summer season in India with monsoon in the offing, there are quite a few places where one could travel to for a fulfilling summer holiday in India. To seek respite from the scorching sun and humidity, hill stations are the most favored tourist places in India to travel in summer. A bulk of the popular hill stations in India are in the North and North Eastern India, but West and South India also have fair share of some equally magnificent hill stations to go for summer vacations in India. Surprisingly even the desert kingdom of Rajasthan has a hill station - Mount Abu - for you to plan your break. Read on and find out the best places to visit in June in India to plan a summer holiday of your liking. Lively ambiance, beautiful landscape, spectacular beaches, happening nightlife, all this and more defines Goa. Goa is best known for its beautiful beaches and water sports which allure tourists from all across the globe. A paradise for party animals, nature lovers, adventure enthusiasts and history buffs, Goa is undoubtedly the most visited destination of India. While Goa remains a tourist favorite throughout the year, it is best to visit this beach destination during the month of June. It is the month when the rains hit this beautiful place and add more charm to it. For those who love the rains, it is the best time to visit Goa. 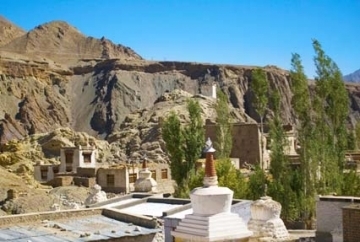 Leh lies in the far Northern corner of India near the Indus Valley. This place has become one of the most popular tourist destinations because of its location. The area is surrounded by mountain ranges and desert. This dry region is dotted with numerous ancient Buddhist monasteries and brick houses. The climate out there is extreme with direct heat, summer and freezing cold winter. It is in the month of June, the tourists visit in a large number, the weather gets better and more pleasant. Even the festivals are held at this time, attracting the tourists more. Featuring a blend of scenic beauty, pleasing ambience, breathtaking view points, and diverse cultures, Darjeeling is a great pick for holidays throughout the year. 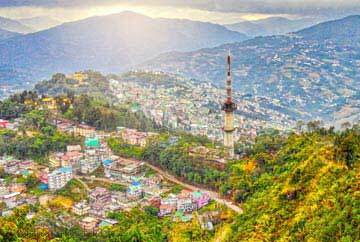 The beautiful hill town overlooks the snow-capped mountains and thick evergreen forests, making it one of the most popular destinations in North East India. 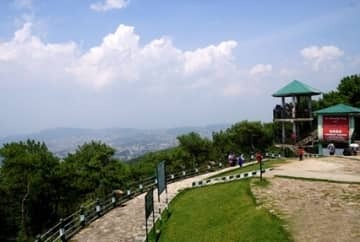 One could take a trip to The Japanese Peace Pagoda, witness the amazing sunrise from Tiger Hill, rush early morning to watch the Toy Train traverse the Batasia Loop or visit the Himalayan Mountaineering Institute and Zoo. Of course, no visit to Darjeeling is complete unless you visit the tea plantations and stay overnight in colonial era bungalows. Snuggled in the lap of Himalayas, Himachal Pradesh is one of the favorite summer hangouts. With abundant options of hill stations, adventure spots, religious sites and bliss of mountains, escape to Himachal in June. The rising heat of the plains draws people to the mountains and it had been the same during the British Raj. Colonial rulers were in awe of Himachal and had made it their summer retreat. The majestic backdrop of snow covered peaks, adventures and relaxing vacations is reason enough for you to make you plans for holiday. The only hill station in the Aravalli Range in Rajasthan, is a very well known destination for its Delwara Jain Temples. Mount Abu is situated amidst the lush green forests and hills and provides a great view of the land below. It used to be the summer capital of Rajasthan. The place is gifted with numerous lakes, waterfalls, cooler climate and more. 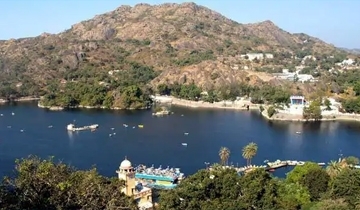 The best time to visit Mount Abu is during the summer time, it will be an escape from the heat of the rest of India. The climate is cool and pleasant in this region. Munnar is the kind of place where the clouds whisper to the rolling tea gardens below, the towns enchant everyone with their quaint aura while the winding lanes seem to disappear into the darkness. 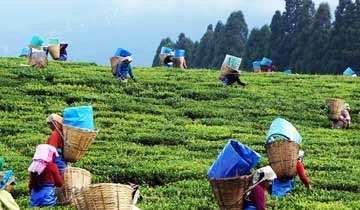 Come June, and Munnar looks bathed with freshness and vitality! 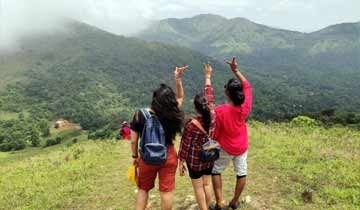 This is the time to head to Eravikulam National Park which offers opportunities for trekking, besides providing fabulous views of the tea plantations and mist-covered rolling hills. Enjoy boating at Mattupetty Lake, witness the gorgeous Attukad waterfalls or head to Top Station – the highest point on the Munnar-Kodaikanal road. 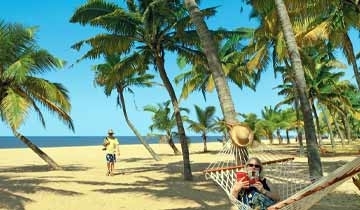 Flocked by a number of honeymoon couples and leisure lovers, Alleppey is one of the top holiday destinations in Kerala. 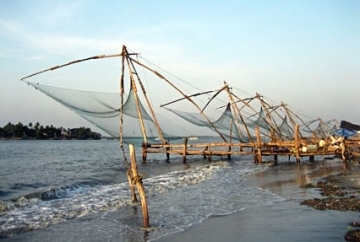 The city is famed as the hub of Kerala’s backwaters attracting a lot of tourist to this place. The best time to enjoy the enchanting Alleppey is during the month of June, when the city is marked with the arrival of monsoons. During this time the natural beauty of the place sprouts entirely adding on to it is the pleasant weather that makes it look more appealing. A long walk along the pristine backwaters of the place is the prime highlight of the place along with cruising in a houseboat. The famous tourist sites you may visit here are Pathiramanal, Karumadi and Sri Krishna temple. Nainital is a Hill Station with numerous lakes in and around it. The place is rich in flora and fauna, you can visit the Jim Corbett National Park and the zoo to witness the variety of animals. Nainital offers a scenic view of the lake and the hills that surrounds the town, it is peaceful and natural which makes it the perfect place for relaxation. 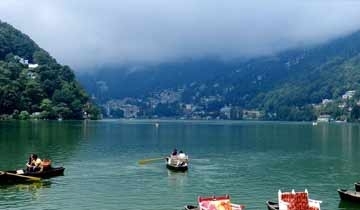 Although, the tourists drop to Nainital throughout the year, but the best time to visit is during the month of June. It serves as a summer resort as it is pleasant and allows you a great sightseeing experience. Various activities like boating and hiking gets enhanced in such a climate. The 572 undulating Andaman and Nicobar Islands, existing in splendid isolation, sport a wonderful coastline, lush evergreen forests and unlimited water-sports opportunities. Apart from the 96 wildlife sanctuaries with an exotic variety of species and sub-species, these islands also own important historical landmarks. June is one of the best months to visit these islands. 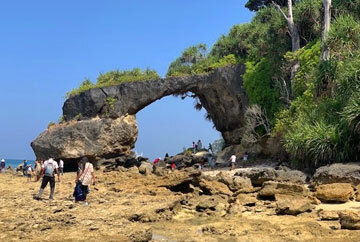 Snorkeling is best done at North Bay Island or Elephant Beach at Havelock Island. Plan a fishing trip to Port Blair, get your dose of patriotism at Cellular Jail National Memorial, go for glass bottom boat ride and spend some time at the Chatham Saw Mill – one of Asia’s oldest saw mills. 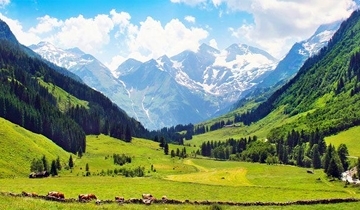 The peak of summer, June lures travelers to hills. Sikkim is one of the best places to visit in June. Bound by the magnanimous Himalayas and sprinkled with the tributaries of River Teesta in the city. You will assuredly be able to unfurl the beauty of this landscape and immerse in it. The Buddhist monasteries, caves, lakes, waterfalls and trekking trails provide with innumerable opportunity to feel blessed to visit it. Whether you are an adventure enthusiast or in here for your honeymoon vacation or a family holiday, the city has a lot to charm you. Auli is situated in the Garhwal Himalayas, Uttarakhand and serves as an important ski destination. This elevated region offers a panoramic view of the mountain ranges of Nanda Devi and Mana Parbat and is surrounded by oak forests. Auli is the best place for fun and adventurous activities during the winter, but the weather is much more favorable during the month of June. You can escape from the midsummer heat and visit Auli for its pleasant climate and the tourist attractions in and around the place. Also known as the land of monasteries, Gangtok is one of the most visited destinations in India. This beautiful and serene town is best known for housing a number of Buddhist Pilgrimage Centers. This is why, Gangtok holds special importance for the Buddhists. 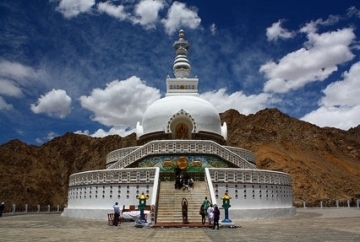 People from all across the world visit the town to pay homage at its beautiful monasteries. The blend of varied cultures and religions in Gangtok adds to its charm and makes it more alluring. Summer season (April and June) is a good time to visit Gangtok. The weather remains mild as the temperature reaches a maximum of 22° C during this season. 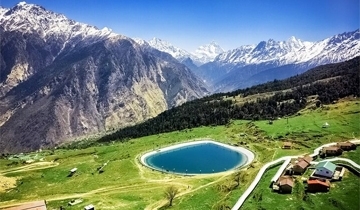 Admire the beautiful scenery from several high altitude view points. June is also the month when monsoon hits the town and makes it even more enchanting. Coorg or Kodagu is located in the Western Ghats, Karnataka and is one of the top tourist destinations in the state. 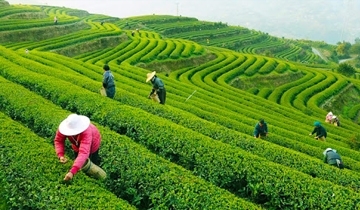 It is known for the view it offers of the lush green coffee plantations, trees and the mountain ranges. This hill station serves as a right place to get rejuvenated and refreshed. The best time to visit Coorg is in the beginning of the monsoon season, around June. You can watch the numerous waterfalls, flowing in full intensity and experience the rainfall in this hill station. Gulmarg is a marvelous hill station that boasts of Asia’s highest and longest cable car namely Gulmarg Gondola, through which one can have a closer look to this spectacular location. 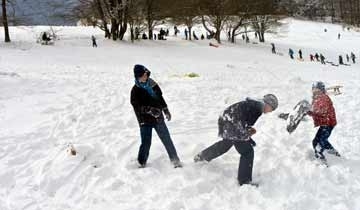 The snow-covered mountains and the scenic surrounding of the place attract a lot of domestic as well as International visitors. Travelers usually plan their trip to Gulmarg during the month of June as the weather during this season is pleasantly cool and appropriate for sightseeing. Also, it is the best option to escape from scorching summers. You can treat your eyes to the lush greenery of the place. The weather at this time is quite favorable for tourists of all age groups. Uttarakhand is a traveler’s paradise. 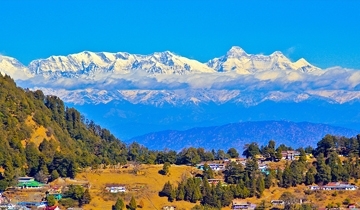 It boasts of India’s second highest peak besides hosting the famous Jim Corbett Tiger Reserve. This “Dev Bhoomi”- Land of the Gods, is defined by its dramatic terrain, which is covered by lakes, holy peaks and rivers. It’s a land where ancient temples sit beside colonial architectures. 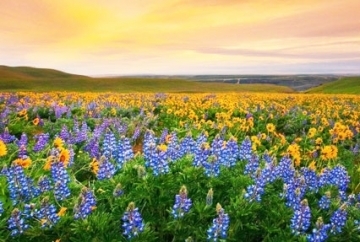 During June, one can witness its fabulous landscape in all its glory. While Nainital offers opportunities for boating and angling,Auli, the lesser known hill station, becomes a trekker’s paradise. This is the time when adventure enthusiasts flock to Munsiyari, and Ranikhet becomes the go-to destination for honeymooners. Kashmir, the ‘Heaven on Earth’ needs no fixed season or reason to visit. The snow covered mountains in the backdrop, enchanting gardens, dazzling Dal Lake, vibrant shikaras and houseboats offer enough reason for you to make plans. June is the perfect time to visit. Summer is at its peak in the rest of India whereas the paradise enjoys pleasant weather. Adventures and relaxation are profusely available and you take home cherished memories. June is ideal for river rafting, golfing, horse riding, trekking, houseboats stays and other exciting activities, Kashmir is well-known for. 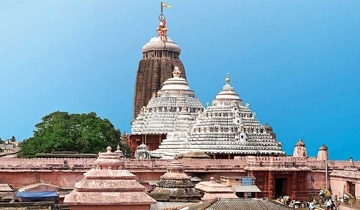 Puri is the coastal district in Odisha and is an abode of Lord Vishnu or Lord Jagannath. This region is one of the four important pilgrimage centers in India, it also serves as a famous beach resort. You can visit the numerous temples and ashrams in the city. 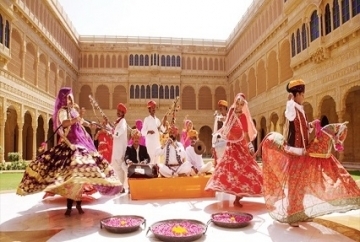 The place holds a rich cultural and traditional heritage and is popular for the handicrafts and the cotton industries. During the summer, Puri gets extremely heated, but towards the end of April the temperature starts dropping. So, June is the best time to visit Puri, monsoon hits the area and makes it cool and fit for sightseeing. Pahalgam is a popular and beautiful town in Jammu and Kashmir.This hill station is set on the banks of Lidder River. The tourists visit the place widely, due to this Pahalgam is home to several hotels and tourist huts. 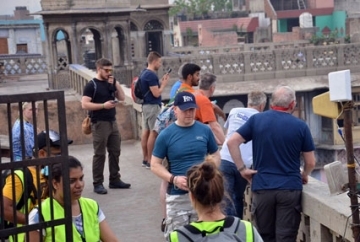 The spectacular sight of the place has caught several movie director's eye, for the shooting of Bollywood films. The great Hindu pilgrimage to Amarnath, begins from this point. The location of the place offers several golf courses. The best time to visitPahalgam is during summer, around June. It is warm and pleasant during summers and also suitable for the Amarnath Yatra. Considered one of the holiest shrines in India, Amarnath is dedicated to Lord Shiva. The temple has a naturally formed ice ‘shivlinga’, which is the symbol of Lord Shiva. Amarnath is set at an elevation of 4175 meter above sea level and is a popular pilgrimage. Devotees come in large numbers to seek the blessings of the Shiva and his consort, Goddess Parvati. As the shrine is set at high altitude, the weather remains unpredictable. During most months of the year, Amarnath remains covered with snow. However, the place experiences pleasant weather during summer season (May to September). Also, the Amarnath Yatra begins with the coming of summers. June is the best time to visit Amarnath. Amarnath Yatra generally begins during this time. The United States of America (USA) features on every traveler’s list. The country offers myriad of delights. The salubrious month of June is the perfect time to visit USA. The country accommodates nature lovers, adventure seekers, families, couples and solo backpackers. Awake from the slumber of chilly winters, the pleasant summer draws visitors like bees to honey. The beaches are thriving with crowds enjoying the summer. The outdoors are waiting with a plethora of exciting adventures. The cities are thriving excitement. Pack your bags for a memorable holiday in USA. Summers do not diminish the pleasure of visiting Malaysia like the rest of Southeast Asia. June is in fact a good season to visit Malaysia. 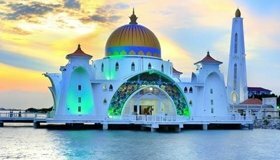 Known for its many exotic islands, Malaysia is blessed with stunning beaches, tropical rainforests and diverse cultures. Diving and snorkeling are thrilling in the renowned in the clear waters home to many colorful coral reefs. Do not miss to experience colonial villages, beautiful temples, gastronomy and adventurous activities. The weather is warm and often rainy but the charm of vacations in Malaysia remain the same. Australia in June tempts visitors who are in love with winters. The beautiful island country is all put under the spell of winters when it is summer in the Northern Hemisphere. The cold season of Australia is blissful for holidays. The cities are celebrating some of the most thrilling festivals. Adventures are abundant on the seashores, turquoise waters and the outback. The Great Barrier Reef tempts to explore the beautiful marine world. Whale watching is one of the pleasures. 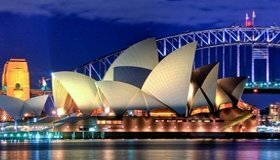 Relish the gastronomy, go sightseeing, Australia will create cherished experiences. The beautiful islands of Indonesia are blissful to visit in June. The summer month of June promises brilliant sunshine and no rain. 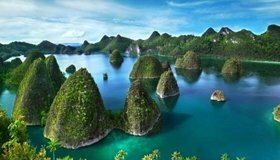 It is certainly the best time to visit all of Indonesia. The beaches are sun-kissed, mountains are lush, rainforest idyllic, and skies are clear. When you think of the perfect summer holiday destination, Indonesia is the place on your mind. Fascinating cultures, thrilling adventures, pleasurable massages add to the fun. What are you waiting for? Pack your bags and get ready for the time of your life.